The Dubai based side have targeted the Vallecas born striker currently in limbo with current side Besiktas. 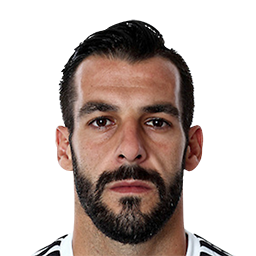 Uncertainly surrounding his future has dogged the start of the 2018/19 season for Spanish striker Alvaro Negredo despite a decent start to the campaign with Turkish side Besiktas. Speculation concerning the Spaniard moving back to LaLiga was rife over the summer months but it looks like the next chapter in his career may see him head to the United Arab Emirates as Dubai based Al-Nasr appear set to offer the forward a salary of 7 million euro per season, nearly double the amount of his wage with the Black Eagles of Istanbul. The market in the Emirates closes on October 2 and rumours suggest that the deal could be closed as soon as tomorrow (Thursday) which would see Negredo join up with Ivan Jovanović's side.